Author Written by Velmurugan Saravanavelu and last updated on Posted on November 16, 2017 . SAP PP Routing defines a list of activities/operations that are required to be performed, in which sequence and machine they have to performed, and what are activity times required in order to produce an assembly or a semi-finished product. 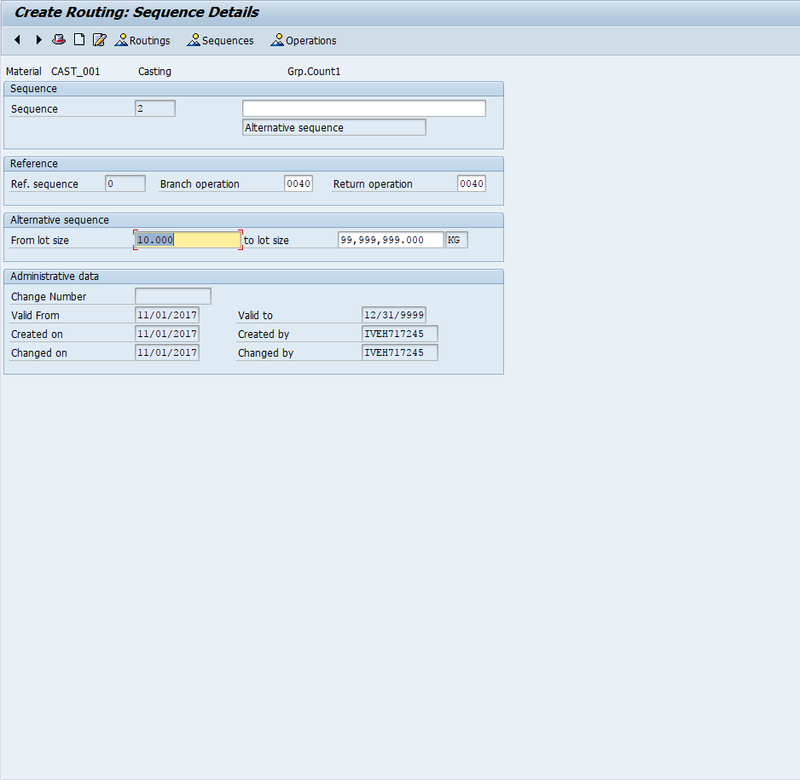 This tutorial on SAP PP routing is part of our free SAP PP training. Let us start with a real-life example. Gears Manufacturing Industry uses a variety of processes like casting, forging, extrusion, powder metallurgy, and blanking. Each operation is performed in a different machine. For example, casting process uses furnace and molding machines, forging uses hammer forging machines, etc. SAP PP routing for a gear is defined as the following sequence with machines and times. We have discussed control keys in work center tutorial. 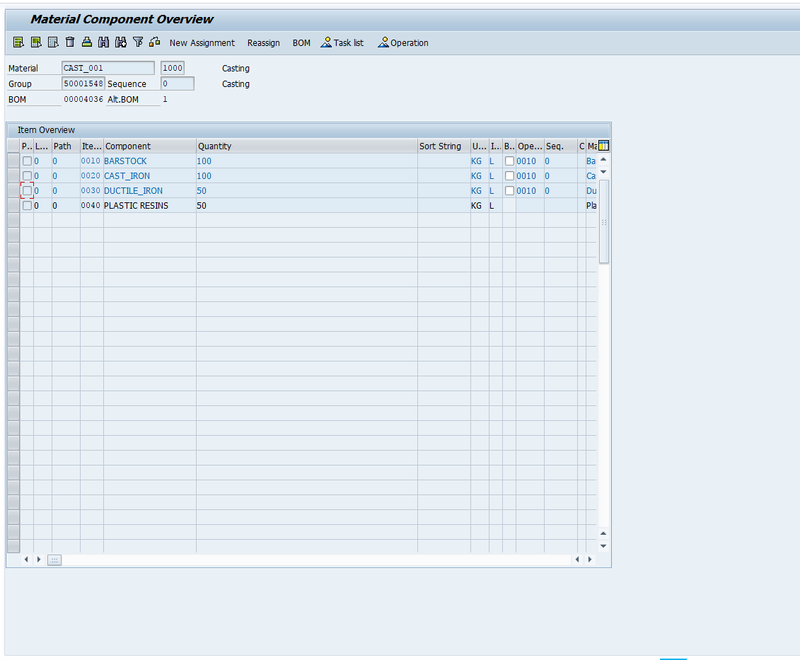 Control keys from work centers will be copied to operation when we create SAP PP routing. Depending on the control key, the system understands whether a particular operation needs to be scheduled and if capacity and costing need to be calculated or not. Here is the information about each field in the control key. If this indicator is marked, the system schedules the operation using operation time, formula (from work center) and production order quantity. I.e., the system calculates start date/start time and finish date/time. If it is not marked, the system considers the operation as only for information. This indicator is set only when capacity needs to be calculated for the operation. The system uses scheduling calculation from the previous indicator to calculate capacity. We cannot use this indicator without the scheduling indicator activated. This indicator is only activated when an inspection needs to be done after this operation and its results are needed to be recorded. For example, before furnace operation, analyze charge material composition and record it against that operation using inspection characteristics. Automatic goods movement (goods receipt) of an assembly will be posted when this operation is confirmed. Generally, this indicator will be assigned to the final operation. When shop floor paper is printed from a production order, the system uses this indicator to determine whether this operation need to be included in a time ticket or not. If this indicator is activated, the system identifies that rework can be occur in this operation, so that automatic calculation of yield quantity at the time confirmation will not happen. For the rework quantity entered in operation no automatic GR will happen even though we activate automatic goods receipt indicator. It must be posted manually. These indicators are considered by the system when order is confirmed and printing is triggered at the of order release. Operations with the relevant indicators will be printed at the shop floor. Cost for this operation will be calculated using operation details, order quantity and costing formula from a work center. Let’s say a particular operation (e.g., a die press) is performed outside the manufacturing premises by a vendor. In this case, we have to activate this indicator, so that the system will generate a purchase requisition for this operation. Operation with external processing will be scheduled based on lead time entered in the operation. If you want the system to ignore lead time and schedule as per standard values (setup, machine and labor time), activate schedule external operation indicator. When a milestone confirmation is selected, the system will confirm the preceding operations automatically. 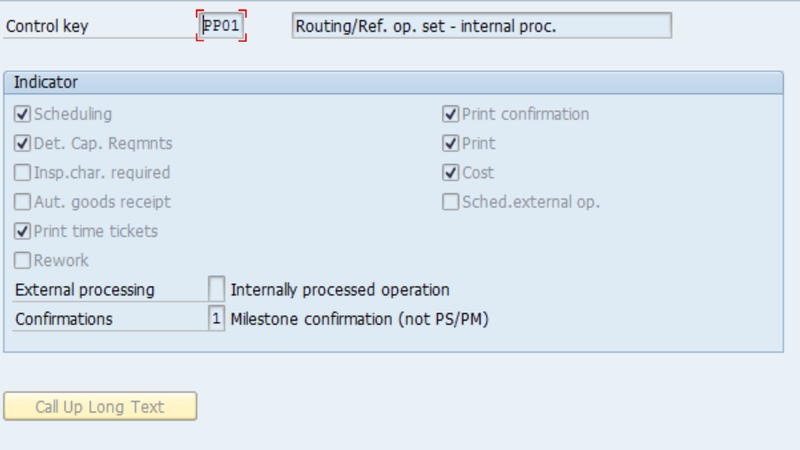 If confirmation required is selected, an operator will have to confirm the operation and enter the relevant operation details. We can also restrict a user not to enter operation details at the time of confirmation. 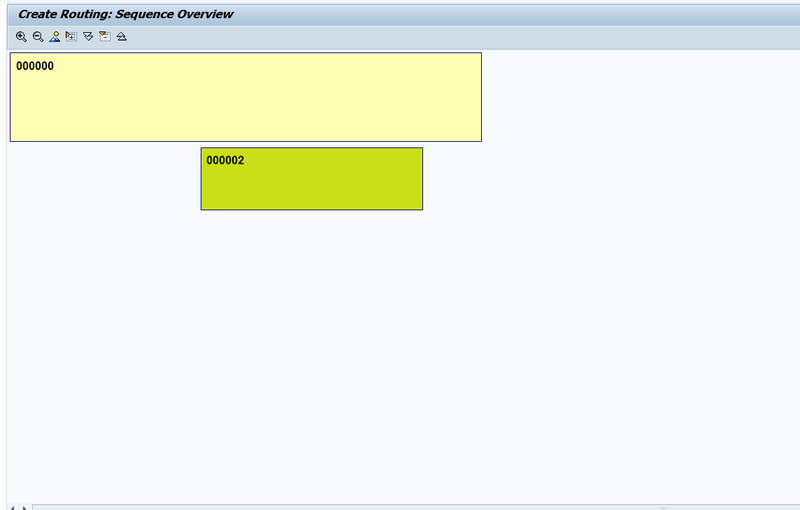 SAP PP routing header contains information about routing status, usage, validity period, lot size, etc. Usage defines for which applications the routing can be used. For example, Production or Plant Maintenance or all applications, etc. Status can be active and inactive. 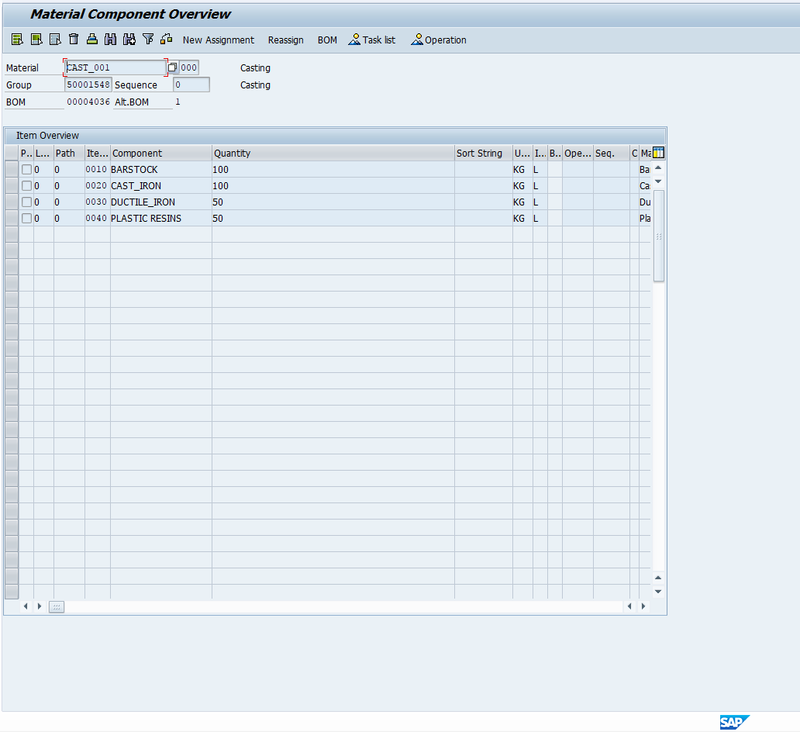 If SAP PP routing is created with incomplete data and later a user wants to update the missing data, it can be kept with status “Inactive”. So that it cannot be used by the system until it is marked as active. This is start date and end dates for the routing which define its validity period. Production process operations which are carried out one after another are defined in the sequence. Standard sequence is a linear and simple sequence created in a routing. When there is a possibility of an alternative operation or procedure for the standard sequence operation, it is defined in alternative sequences. When there is possibility of an operation which can be performed at the same time with the main operation in the standard sequence, it is defined in parallel sequences. We have a Routing and a Rate Routing which are used in discrete and repetitive manufacturing processes respectively. In a routing, we can use alternate and parallel sequences whereas in a Rate Routing we can only use parallel sequences. Let’s say we have two hammer forging machines which are used depending on the tonnage operated. When tonnage is less than 100 TONs, business uses Forging Machine 1 (FM1) and if it is greater than 100 TON, they use Forging Machine 2(FM2). In this case, an alternate sequence is created with a lot size 100 TON to Maximum TON it can be operated with the work center FM2. When an order is created less than 100 TON, the system uses standard sequence. When order is created more than 100 TON, the system uses the standard sequence. Let’s say we have two die presses which can be operated in parallel. This can be defined as a parallel sequence. 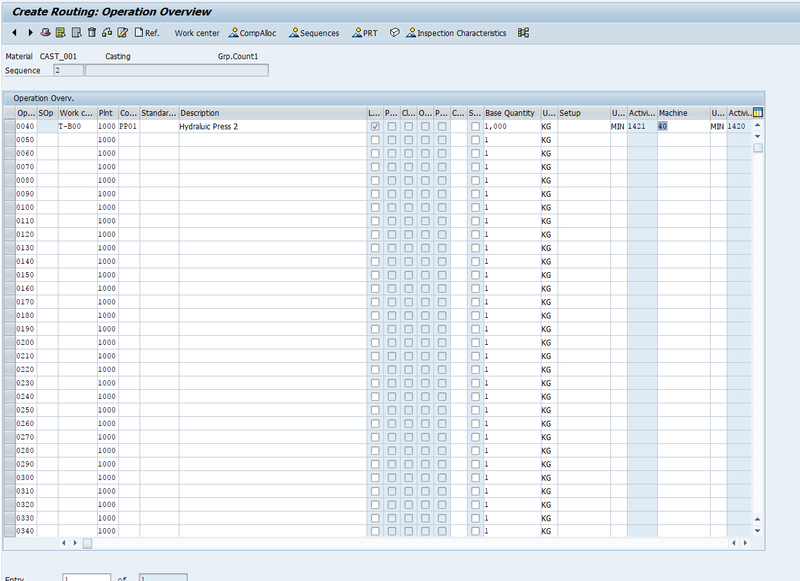 Input all operations in a sequence with work centers on which they should be performed on Operations Overview screen. When a routing is created for an assembly, system will copy its bill of material (BOM) to it. During production process, all the BOM items might be consumed at the first operation itself or few components can also be consumed at the later operations. 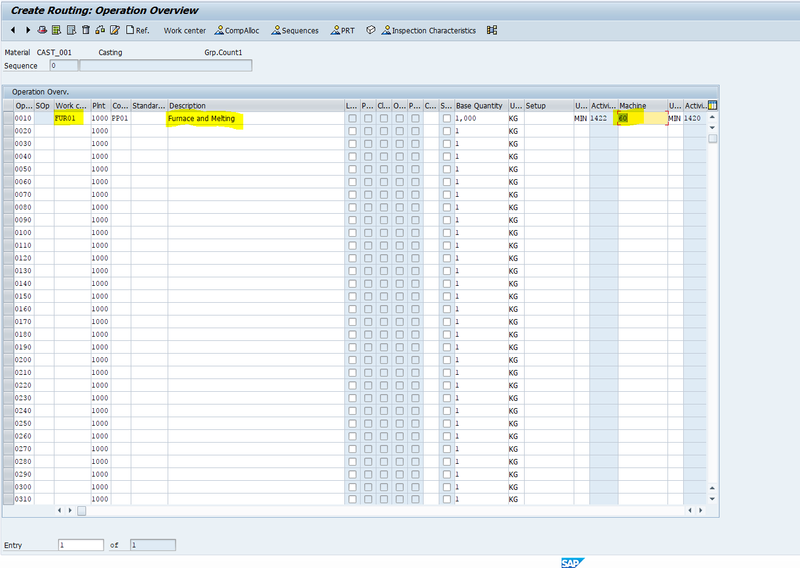 SAP uses this information to post goods issue automatically during backflush when operation is confirmed. By default, the system assigns all the components to the FIRST operation. Here is the procedure to change the default allocation of components. First, click on and select the component you want to assign. Here, for example, I have added only below components in BOM and need BARSTOCK, DUCTILE IRON and CAST IRON in furnace operation and the rest at the die press stage. Select components which you want to assign to the Furnace operation (here, the first 3 components) and click on “New Assignment” button. Click on button to display all the associated operations. 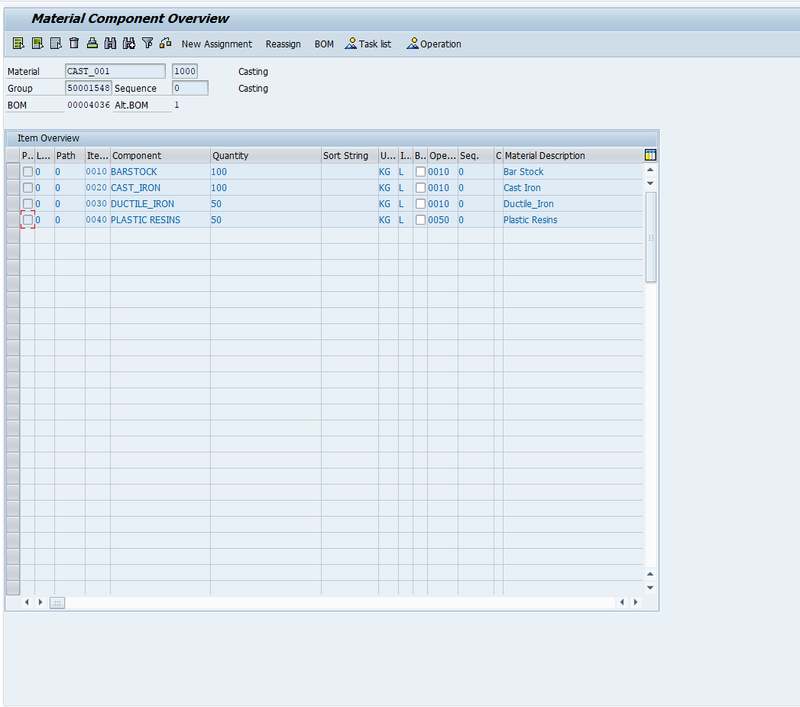 Then, select the required operation to which you want to assign the components. The following raw materials are used in Gear Manufacturing which are components of its BOM. Here, not all materials are required and consumed at the start of the operations (i.e., furnace and molding). There are a few items which are consumed in subsequence operations also. Like powder metal material and tool steel are required in the die press. 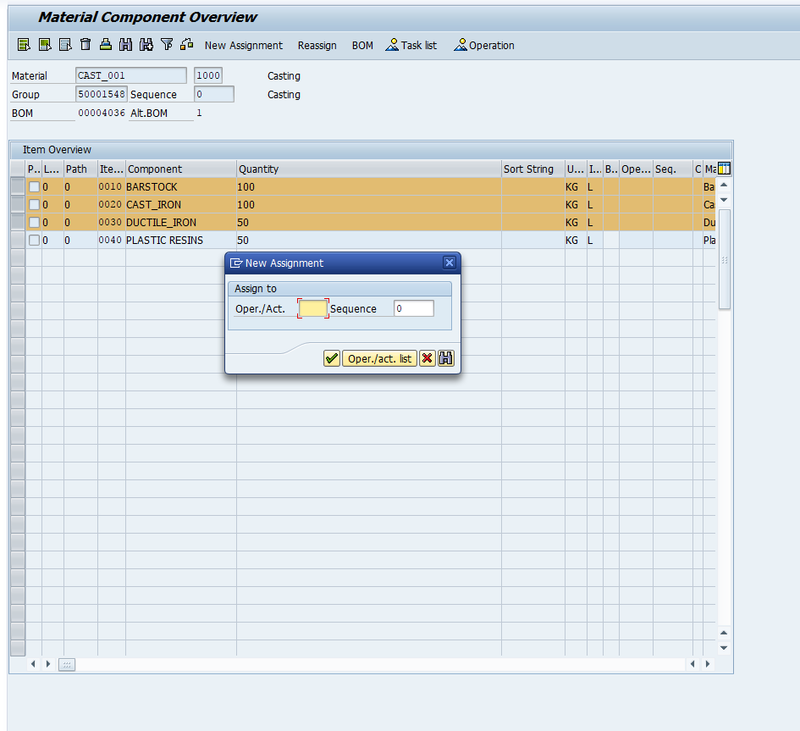 If no component assignment is done, the system will assign them to first operation by default. 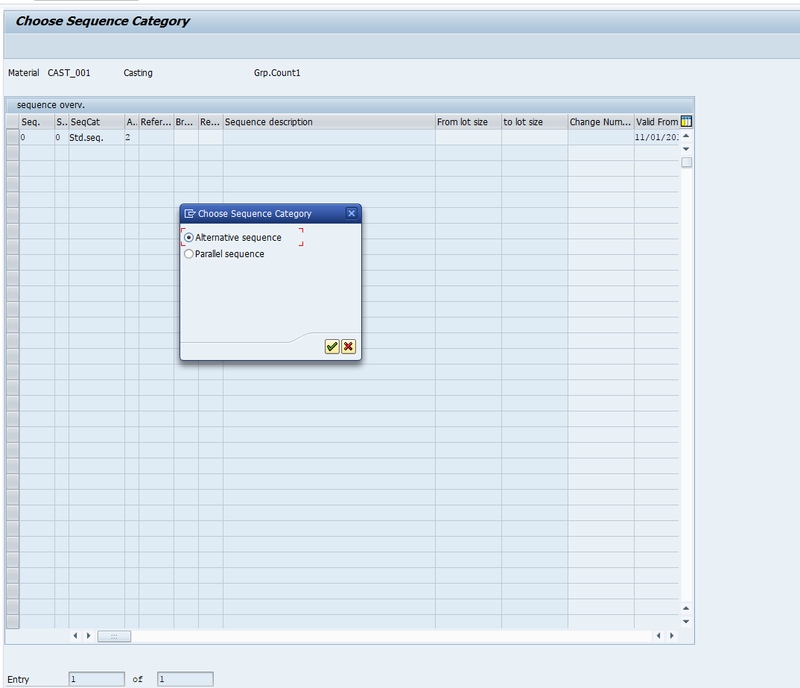 To create sequences, click on “Sequence” button. By default, a standard sequence will be created. To create parallel or alternate sequences click on . Choose relevant (alternate seq.) radio button and press Enter. The system will ask about an operation after which you want to branch and return before which operation. Select an operation from which you want to create an alternate operation. Let’s say here we are creating an alternate sequence for hydraulic press for lot size more than 10 TONS. Then, click “Operations” to maintain alternate operation(s) that you want. You can see this as graphical layout by clicking icon in Sequence Overview screen. When quality inspections are required to be carried out during the manufacturing process, Quality Inspection characteristics has to be assigned for the relevant operations. These inspection characteristics are called in-process inspection characteristics. When an operation assigned with inspection characteristics is confirmed, an inspection lot will be generated and quality inspection person will enter result recording. Click on after selecting an operation and assign suitable inspection characteristics. 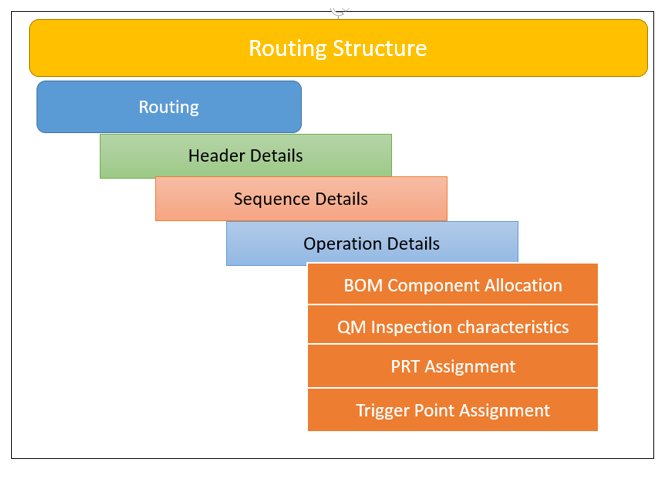 PRT (Production Resources/Tools) which are used for testing during production can be assigned to the corresponding operations in routing or inspection characteristics. Each PRT has its own behavior and usage. When you want to measure wear and tear of the tools used for treating, we can create it as equipment PRT. A material PRT can be procured, also keep it in stock and we can track its value and quantity at any time. We need a valid material master for this (transaction MM01). Equipment production resources and tools are serviced at regular intervals. We need a valid equipment master for this (transaction IE01). An instruction or guide for manual testing can be attached as document PRT. We need a valid document master info record for this (transaction CV01n). Click on in operation overview after selecting an operation. Select suitable PRT (Material or equipment or document) you want to assign and save. Trigger points are assigned to operations in a routing to trigger certain functions in the production order. The detailed functionality of trigger points and its functionality will be explained in another tutorial. Apart from these details, there is some additional information which can be maintained at operations level which primarily controls “Scheduling” and “Capacity”. Here some important information is explained. 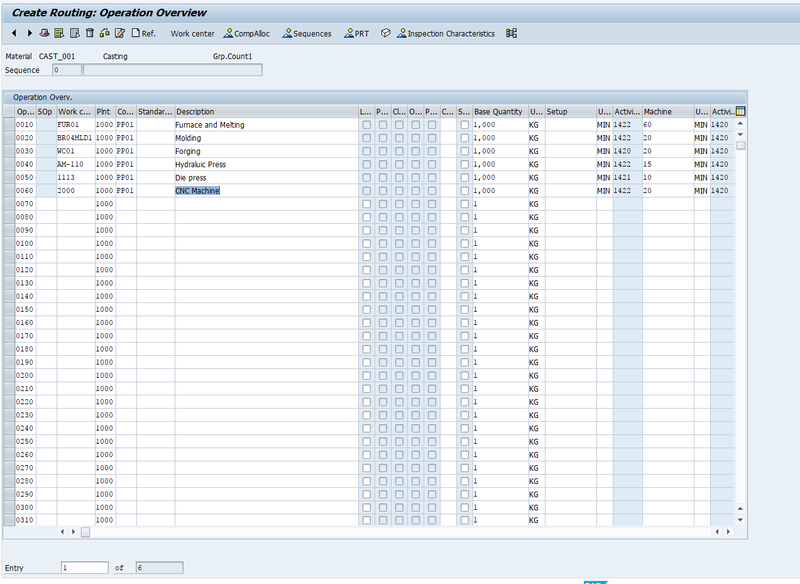 Select an operation for which you want to maintain the operation specific details. Reduction strategy controls scheduling of an operation when its production start date and end date are not within the basic dates. This topic will be explained in detail in one of the next tutorials. 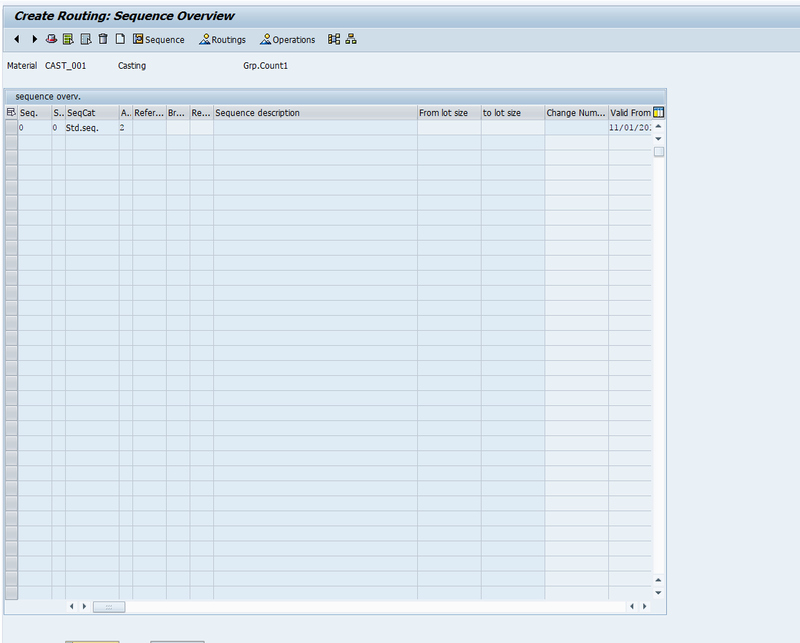 Interoperation time also considered by the system at the time of scheduling which was explained in tutorial on SAP PP Scheduling. Also, you can find a relationship between Reduction strategy and Interoperation time in next tutorials. If required, a split indicator can be activated. Then, the system uses “Number of Individual capacity’ in work center at the time of scheduling (refer to work center tutorial). Number of splits entered here will be consider by the system to split the capacity load to the number of splits. If this number of split is not matching with the number of individual capacities entered in the work center, then the system uses the smaller of these two values. Minimum processing time entered here will be used by the system after it calculates processing time by considering the number of splits. The system will make sure that the processing time calculated will not drop below this value during splitting. 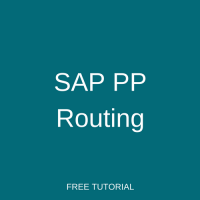 SAP rate routing has same behavior and structure as SAP PP routing. 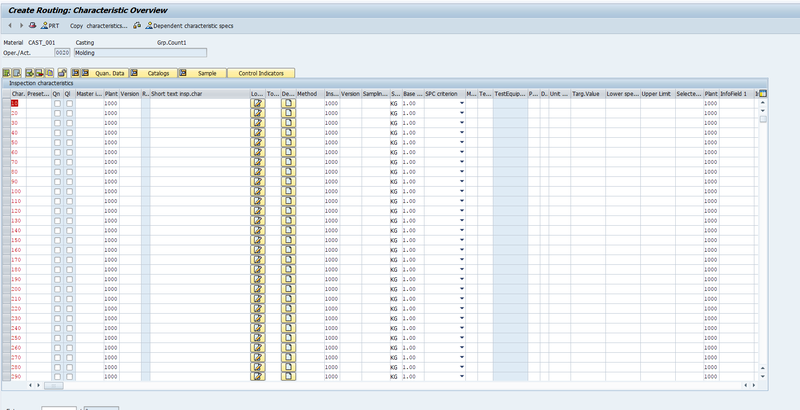 However, there is no alternate sequences in SAP rate routings. SAP routing will be generally used in discrete manufacturing whereas SAP rate routing will be used in repetitive manufacturing. Tutorial is informative. Great work done. This article is very informative, and easily understood. 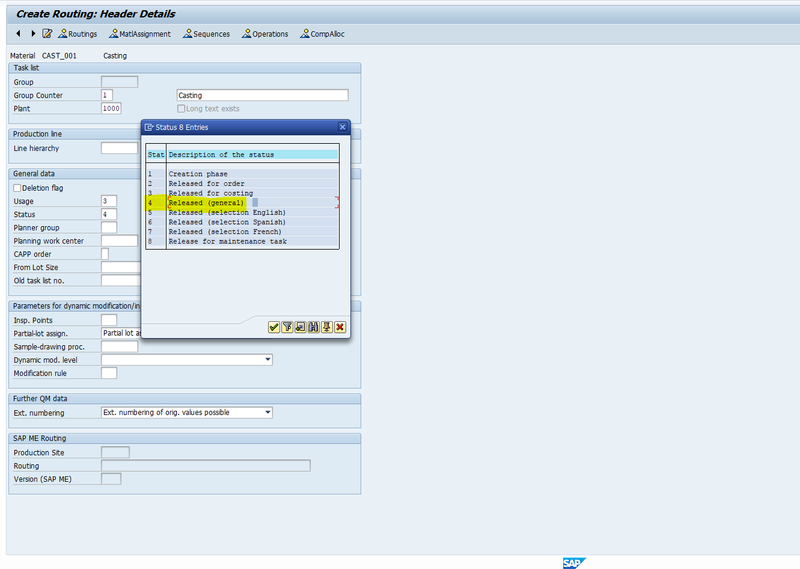 Is there a transaction to compare two routings similar to the CS14 tcode BOM comparison in SAP?